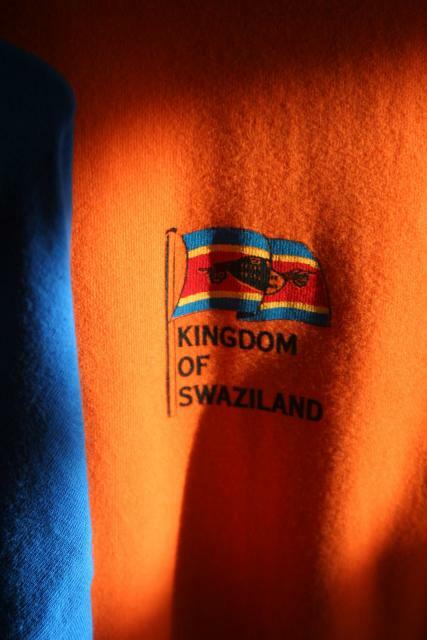 Where in the World is Swaziland? 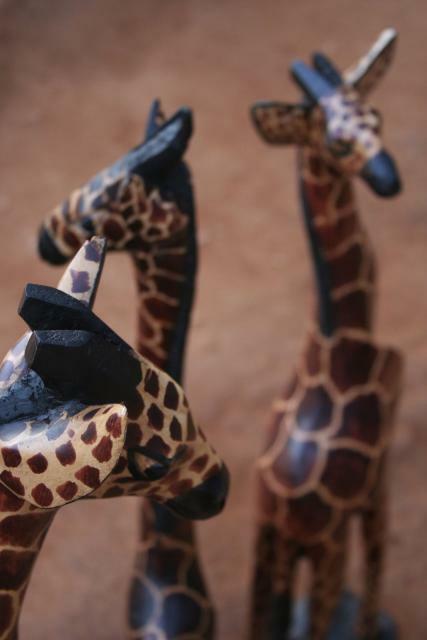 Comments Off on Where in the World is Swaziland? 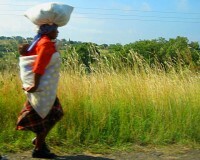 If you’re like me, you probably know very little, if anything, about Swaziland. In fact, the only mention of this small country throughout my travels came from a kayaker we met a few months back in Laos; according to him, Swaziland had some great white water rafting. Leaving Kruger National Park and heading toward the coast, we decided to take a short 2-day detour through this enigmatic land. Since gaining independence from the British in 1968, this tiny country bordered by South Africa and Mozambique has been ruled by a succession of kings. 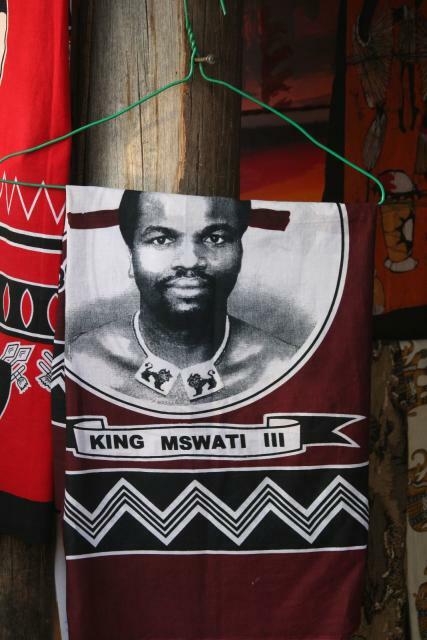 Unlike many remaining monarchs in today’s world (like those in England and Thailand), the king of Swaziland is the ruler of the land – an absolute monarch. The current king, King Mswati III, has 13 wives; his predecessor, King Sobhuza II, had over 120 wives and over 600 children! The royal family has several palaces around the country. It’s good to be the king. Other than beautiful landscapes, raging rivers and prolific wildlife, Swaziland’s current – and less praiseworthy – claim to fame is HIV/AIDS. It has the highest HIV infection rate in the world; approximately 39% of Swazis are HIV positive! 39%! According to a recent survey, 25% of Swaziland’s population is predicted to be DEAD from the disease by 2010, and already over 60,000 children have lost either one or both their parents to AIDS! It’s impossible to process these numbers. Luckily, the king and his government seem acutely aware of the massive problem and prevention measures and campaigns are widespread. With only one full day in the country, we opted to follow the advice of our kayaking friend and hit the river. Unlike most rafting trips I’ve been on, Shanna and I would be paddling our own raft. While I’ve done many trips like this before on the Nantahala River in North Carolina, the Usutu River made Nantahala look like the creek in your backyard. Within a few minutes, we arrived at the first major rapid, inexplicably named Monica Lewinsky. Monica was fierce and I was quickly evicted from the raft. Once afloat, we worked on our paddling skills and achieved an expert rhythm. This didn’t prevent a later rapid from consuming our boat and once again throwing me, this time accompanied by Shanna, into the cold, crocodile-infested river. As we were nearing the end of our outing, our guide – who was as concerned about our safety as he was about the NHL playoffs (i.e., not at all) – instructed us to park our rafts on the bank and walk ahead to scout our last rapid. As we approached the furious rapid, we knew the guide was joking; no sane individual would allow novices to raft this section of the river. When no punchline was delivered and we began walking back to our rafts, thick fear enveloped us – horrific injury or possible death was only seconds away. We approached the rapids just as instructed, but we were both immediately launched out of our boat. The next 10 seconds have been lost from my memory, but I know they involved me losing a paddle and gaining about 10 bruises on my legs as we bounced against rocks as if we were in a pinball machine. Our only consolation was that the other 4 boats on the river with us succumbed to the river in the same fashion. We were in Swaziland for less than 48 hours, but the marks it left on us will remain for weeks.